A dispatching error delayed getting water on an intense Brooklyn fire that killed a 64-year-old woman, injured 20 firefighters and left dozens homeless, officials said Monday. The Fire Department is reviewing the mistake and said it's not clear whether the short delay on Saturday night was a factor in the death of resident Mary Feagin, a retired guidance counselor. 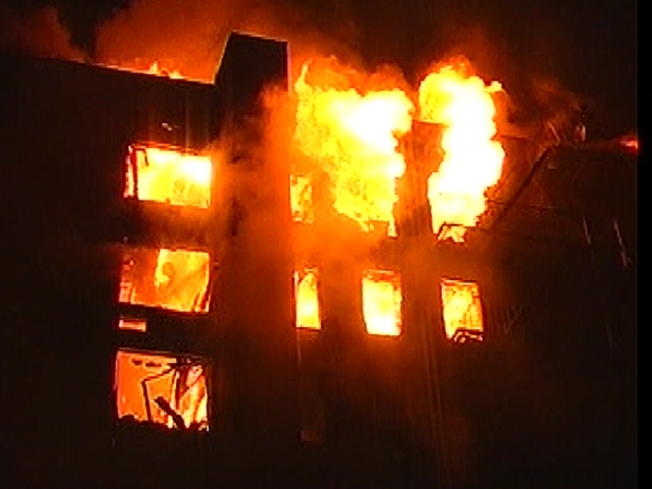 Her body was found in the debris on the top floor of her Flatbush building, destroyed in a roaring five-alarm fire that burned for nearly nine hours. Dispatchers had directed an engine company to the fire on East 29th Street, but it was already at another emergency, helping a police officer who had accidentally shot himself in the leg. FDNY spokesman Jim Long said this delay lasted "over a minute,'' until dispatchers discovered the error and sent another engine to the apartment fire. Long says high winds and a door left open in the fire apartment made the blaze so intense and strong. The Uniformed Firefighters Association had blamed manpower cuts for hampering firefighting efforts.